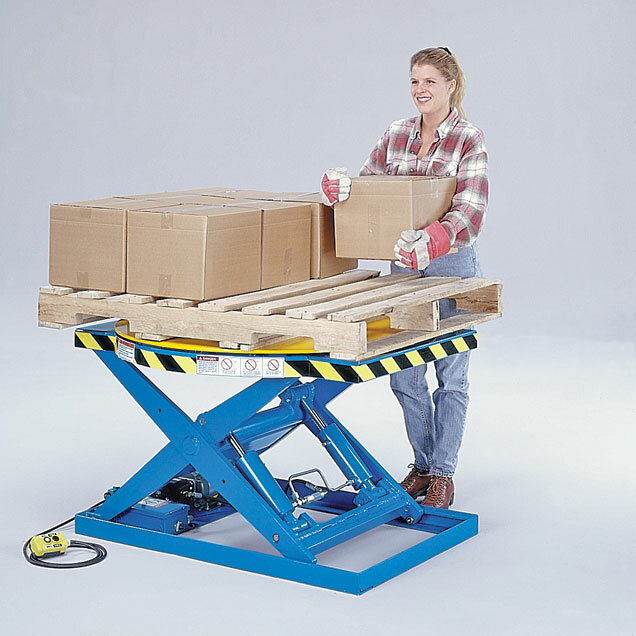 Lift and Rotate - No longer just good exercise advice - but a great way to position your work to avoid inefficiency and/or injuries due to non-ergonomic work positions. This table was designed and built with the operator in mind. 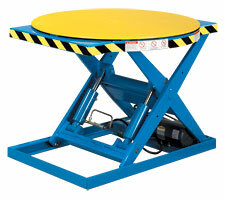 The table operator simply chooses the desired height of the table and is then able to rotate the load with ease. 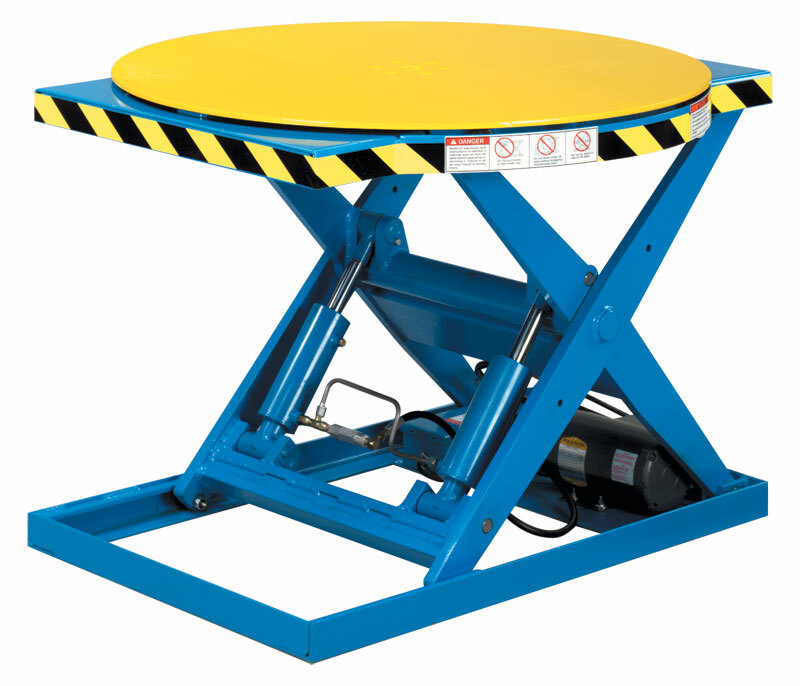 Whether your load is 1 pound or 3500 pounds, this table is the most flexible work positioner that will ergonomically increase efficiency. 2,000 & 3,000 lb. models come w/2 ea. cylinders and 1.5 HP (115 Volt) motor. 3500# model comes with 2 ea. cylinders and 2 HP (230/460 Volt) motor. Internal gear pump with check valve, relief valce, solenoid valve. All pivot points have grease zerk fittings to extend life of bearings.